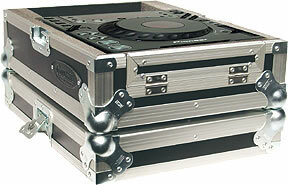 For the way you play and the way you travel, here is a case designed for your Pioneer CDJ800. Fully foam lined interiors in all the right places. Trap doors in from of the CD port. This Is A Custom Case and It take 3-4 Days To Build It . Width Height Depth 15" 9" 19"